Welcome to the Shroud of Turin Website Store. 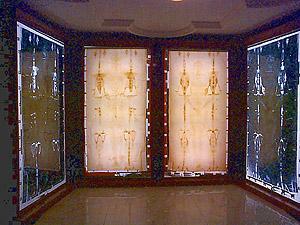 Here you will find a variety of Shroud of Turin materials available from a number of different sources. Note that items from the Barrie M. Schwortz Collection can be purchased directly from this website using a credit/debit card. On January 1, 2010, the ownership of this collection was formally and legally transferred to the Shroud of Turin Education and Research Association, Inc. (STERA, Inc.) and all proceeds from the sale of these items go directly to STERA, Inc. to support the server and bandwidth charges of this website and further the goals of the organization. Please visit the STERA, Inc. Home Page for more information. Each item from the Barrie M. Schwortz collection includes a link to the "Secure Order Form" where you can safely place your credit/debit card order via a 256 bit encrypted Secure Server. You may also go directly to the order form at any time by clicking on the graphic in the top right corner of this page. If you are unable to access the "Secure Order Form" or do not wish to send your credit/debit card information over the Internet, see the "Alternate Order Form" for detailed instructions on telephoning or mailing your credit/debit card order. Payments by check or money order will take longer to process and ship. If you decide to pay by check, please make check payable to STERA, Inc. All items listed that are available from other sources include their own specific ordering instructions. The Shroud of Turin Website assumes no responsibility for these outside vendors and provides the information solely as a convenience to its viewers. The following items are available directly from the Barrie M. Schwortz Collection and this website (order via the Secure Order Form using your credit/debit card). As any of you know who have ever visited one of the many Shroud Centers around the world that display our lifesize, backlit transparencies, these particular images of the Shroud are the most detailed and breathtaking available. They are currently displayed at Shroud Centers in Richmond, Virginia; Stockton, California; Colorado Springs, Colorado; Fountain Valley, California and Hanceville, Alabama, to name only a few. They were also integral elements in the International Shroud Exhibit that was displayed in Auckland, New Zealand and the Mall of Asia in Manila, the Philippines some years ago. One of the main reasons for the popularity of the backlit transparency images is that they have a 400% greater dynamic range vs. a normal photographic print viewed with reflected light and consequently, allow the viewer to see dramatically more depth and detail in the image. This makes for an excellent experience for the visitors to the various Shroud centers, but there was never a simple way to make these available directly to individuals. In the past, we could provide the custom made transparencies, but the purchaser then had to construct (or have constructed) a custom lightbox that would provide even backlighting for proper display of the transparency. This was always a costly and difficult proposition, since the lightboxes had to be rather deep and large to be effective. But that was then, and this is now! Technology has finally caught up with the need, thanks to Ph.D. optical physicist Ed Sinofsky. Ed mastered fiber optics while working within the medical profession and then applied his knowledge to the creation of a new product, PhotoGlow® Frames with his company, PhotoGlow®. These have the outward appearance of standard photographic frames (they are only 13/16" thick, with a 2" black matte, solid metal frame and non-glare PlexiGlas), but they include a patented, truly innovative, integrated LED backlighting system with a dimmer that allows you to control the brightness of the extremely even display. In fact, once you unpack the frame, you simply attach your own hanging wire, hang it up and plug it in. These custom made Transparencies in PhotoGlow® Frames can now be powered by either 120 or 240 volt power mains so we can now take international orders (but you will need to separately purchase a local mains adapter). However, please write to us first with your shipping address since we will need to get a specific shipping quote for all orders outside the continental U.S. These are exactly the same transparencies as those that appear at Shroud Centers around the world, only smaller. Each is delivered in a custom built PhotoGlow® Frame only 13/16" thick, and is ready to hang. The backlighting system operates using a thin, light colored 15' power cable attached to a small transformer at the plug end. You simply hang it up and plug it in! And each frame is equipped with an inline dimmer that allows you to adjust and control the brightness of the backlight display. Of course, now my biggest frustration is that the photographs I am including below do not even come close to capturing the effect of seeing one of the actual backlit transparencies with your own eyes! I think you will find these as amazing as I do! Over the years, many people also requested that we offer a Dorsal view to match the Ventral one. We have listened to our viewers and are very happy to announce that a NEW DORSAL VIEW IS NOW AVAILABLE that is designed to match the ventral in both size and image quality. However, since the backlight technology has evolved over the years (from fluorescent bulbs to LED's) and the transparencies are now made digitally rather than photographically, it is possible that the density and color of the new Dorsal view may not perfectly match the density and color of the earlier Ventral versions. If you find that is the case, you can simply adjust the individual backlight brightness controls to obtain a matching result. Please understand that because of these variables, we cannot guarantee a perfect match. The Shroud Ventral Image (shown at left below) is available for US$400.00 plus $20.00 for FedEx Ground shipping, or a total of US$420.00. The Shroud Dorsal Image (shown at right below) is available for US$400.00 plus $20.00 for FedEx Ground shipping, or a total of US$420.00 - NEW!. The larger Lifesize Shroud Face Image (shown at left in the comparison photograph below) is available for US$470.00 plus $20.00 for FedEx Ground shipping, or a total of US$490.00. 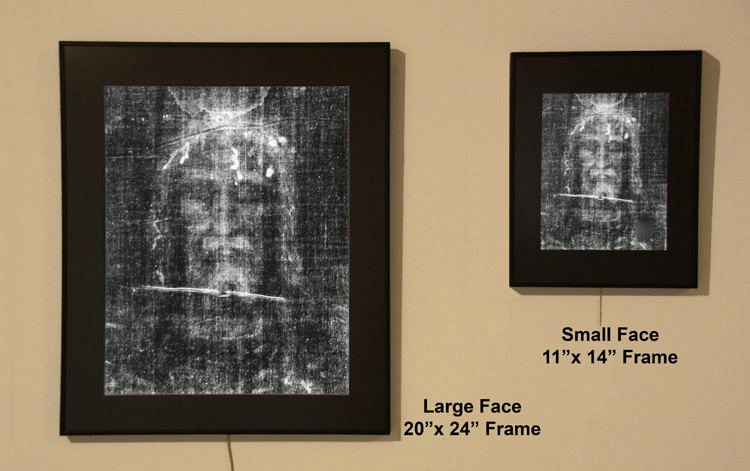 The smaller Shroud Face Image (shown at right below) is available for US$240.00 plus $18.00 for FedEx Ground shipping, or a total of US$258.00. These are not mass produced but custom made on an order by order basis and are shipped to you directly from PhotoGlow®. You may safely order these items directly from this website using your credit/debit card via our "Secure Order Form." If you are unable to access the "Secure Order Form" or do not wish to send your credit/debit card information over the Internet, see the "Alternate Order Form" for detailed instructions on telephoning or mailing your credit/debit card order. The lifesize Large Face (left) is about 400% larger than the Small Face. 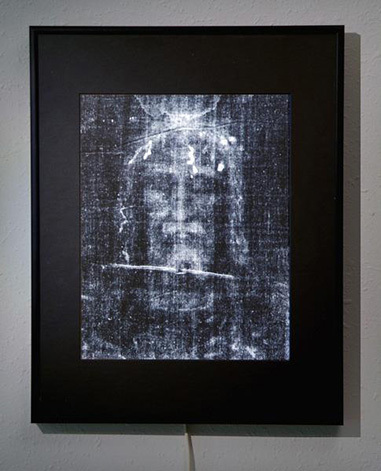 In early 2005, I had a lifesize replica of the Shroud of Turin created on cotton canvas by professional fine art printer Steve Ouimet in Glendale, California (see Lifesize Replica on Cotton Canvas below for details). It was produced from high resolution digital drum scans of my original 1978 4" x 5" transparencies. This lifesize replica on cotton became the centerpiece of an International Shroud Exhibit, first presented in Auckland, New Zealand, in May of 2005 and in Manila, the Philippines, in 2007. (You can read about and see photographs of the Auckland exhibit on the 2005 Website News page). During the five months in which Steve and I tested various cloth materials and carefully adjusted the color and density of the image, we also made countless test prints of various portions of the Shroud. At one point in the process, we reduced the image size and printed the entire Shroud across the 42" width of the cloth. Two samples of this "miniature" replica have been in my personal collection since that time and whenever I showed them to fellow sindonologists, they all wanted to have one. So I am very pleased that we can now make them available to everyone. Please note that the photo above of one of the actual miniature replicas does not really capture the true quality of the image. The highly detailed image is printed with a wide platen professional inkjet printer onto special cotton canvas material (the same as used for the Lifesize Replica) using archival dyes for long life. The image itself is approximately 40" x 10" with a white border making it suitable for (custom) framing. Each print is hand signed by the photographer in the lower right hand corner. This is identical to the lifesize New Zealand/Manila replica in every way except size. The price for each rolled canvas miniature is US$150.00, which includes USPS Priority Mail shipping & handling in the continental United States. For International shipping, please add US$15.00 for a total of US$165.00. Please allow up to 4 weeks for delivery. You may safely order this item directly from this website using your credit/debit card via our "Secure Order Form." If you are unable to access the "Secure Order Form" or do not wish to send your credit/debit card information over the Internet, see the "Alternate Order Form" for detailed instructions on telephoning or mailing your credit/debit card order. "Framed Miniature Shroud Replica" (Approx. 43" x 12" overall) - Click on the image for more information or to order. In the year since I began offering the rolled canvas Miniature Shroud Replicas on this website, I received many wonderful letters and digital photos from those of you who purchased them, sharing your framed versions with me. I was thrilled to see the variety of results but quickly realized that in many cases, the cost of purchasing custom frames was much more than the price of the replica itself. Unfortunately, I had no way to offer a framed version myself. This added another layer of cost and complexity for those who purchased the rolled canvas prints, since you first had to find a custom framer and then purchase a costly frame before displaying the print. That is why I am very pleased to announce an association with James Alsop and HolyArtWorks.com to offer the framed version you see above. Holy Art Works specializes in custom fine art framing and officially distributes a number of different religious artworks, including Our Lady of Guadalupe, Ecce Homo and the Restored Vilnius Divine Mercy, so adding a Shroud image to their offerings is very appropriate. With that in mind, they have created a truly beautiful custom wooden frame for the Miniature Replica and are offering the framed version exclusively on their website. The cotton canvas replica is stretched and mounted in the exact same manner as a fine art canvas painting (even the back of the print is finished), making for the beautiful presentation you see above, and of course, each is still hand signed. The framed canvas is carefully packed and shipped in a heavy duty corrugated cardboard container and is ready to hang as soon as it is removed from the box. Simply click on the photo above or click the following link to visit the Shroud page on HolyArtWorks.com where you can order the framed version. Of course, unframed rolled canvas versions are still available directly from this website (see above). Over the past few years we had many requests to make some smaller Shroud prints available, which we did, but only on a very limited basis in very limited quantities. We finally have obtained a good supply and can now make available the above set of two high quality 8½" x 11" Shroud Lithographic Prints. Suitable for framing, they are printed onto heavy cover stock and laminated with a glossy UV coating so they should last for years. They are priced at US$25.00 per set, which includes USPS Priority Mail shipping & handling in the continental United States (2 - 3 day delivery). Overseas orders please add US$10.00 for a total of US$35.00 per set. Please allow up to 4 weeks for delivery. Order multiple sets shipped to the same address and save $5.00 (or $10.00 overseas) shipping on each additional set. 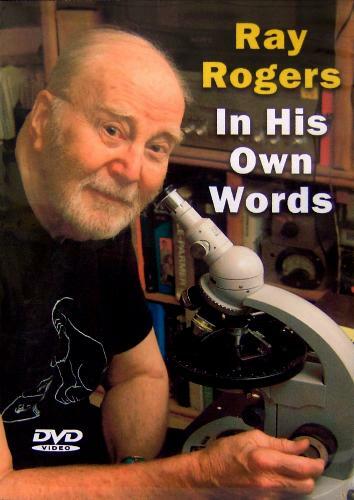 On Thursday evening, September 8, 2005, at the 3rd International Dallas Shroud Conference, I premiered a 30 minute video program titled, "Ray Rogers In His Own Words." The program is edited from more than 5½ hours of on-camera interviews I conducted in May 2004 with the late Ray Rogers at his home in Los Alamos, New Mexico. In the program, Ray reviews the details of his January 2005 Thermochimica Acta paper that proved the 1988 c14 dating of the Shroud used an anomalous sample. He also shares the fascinating story of what inspired him to complete the research that sadly became his final work on the Shroud. I have also incorporated many of Ray's photomicrographs into the program, so viewers will see the exact images he referred to during the interview. Ray also discusses the 2002 restoration of the Shroud, the future of Shroud research and makes several important recommendations that he considered critical for any future study of the cloth. He concludes with a revealing, personal assessment of what he believed about the Shroud of Turin. Considering that Ray Rogers never gave an on-camera interview in the past, this program provides a truly rare opportunity to see and hear one of the most important Shroud researchers of the past 30 years "in his own words." I am pleased to now make this program available to everyone. It is produced in a universal, non-regionalized DVD format that will play properly on both NTSC and PAL systems and is delivered in professional packaging that includes a Chapter Menu with the questions Ray answered so you can select specific portions of the program to view. The DVDs are priced at US$35.00 each, which includes USPS Priority Mail shipping & handling in the continental United States. Overseas orders please add US$10.00 for a total of US$45.00 each. Please allow up to 4 weeks for delivery. Roll mouse over image to view back of DVD cover. For years, people have asked me if there were DVDs available of any of my public presentations. Although my lectures have been videotaped many times, the results were never really professional quality and certainly did not have the production values necessary to make mass production and distribution of a DVD worthwhile. That is, until now. In July 2013 I was invited to speak at the Pikes Peak Prophecy Conference in Colorado Springs, sponsored by the Prophecy in the News (PITN) organization. They employed a professional video production company to record all of the main presentations and produced a beautiful set of DVDs of the entire event, which they graciously presented to each of the speakers. They also kindly granted us permission to distribute our individual DVDs via our own websites and lectures, so our sincerest thanks to PITN. Because of their generosity, STERA, Inc. can now make them available here on our Website Store. In addition to my complete 92 minute presentation, the DVD also includes the Shroud of Turin Q&A I hosted with John and Rebecca Jackson and Russ Breault and a Board Room Interview with Derek Gilbert. Packaged in a slim case, the DVDs are priced at US$25.00 each, which includes USPS Priority Mail shipping & handling in the continental United States. Overseas orders please add US$10.00 for a total of US$35.00 each. Please allow up to 4 weeks for delivery. [NOTE: Quantity pricing is available. Contact STERA, Inc. for details]. Peter J. Shield hosted his popular World of Unexplained Mysteries program on radio and television in Sydney, Australia for over 20 years. In 1987, for one of his radio programs, he conducted a series of remarkable Shroud interviews with members of the STURP team and other scholars involved with the 1978 scientific investigation of the Shroud of Turin. The program included interviews with Rex Morgan, Ian Wilson, Walter McCrone, Vernon Miller, Dr. Alan Adler and Fr. Peter Rinaldi and was produced just months before the now infamous carbon dating of the Shroud. In 1992 Peter moved to Las Vegas, Nevada, where he continued to broadcast his World of Unexplained Mysteries program weekly on radio station KLAV1230am, "The Talk of Las Vegas" and around the world on the Internet through the facilities of KLAV1230am.com. And that is how I met him. In July 2001, 14 years after recording the original STURP interviews, Peter decided to rebroadcast the original tapes for his current audience. In researching his program, he came across www.shroud.com, got in touch with me by telephone and invited me to appear on his program the following week to help bring his listeners up to date on what has happened in the Shroud world since the original interviews. He was kind enough to send me an advance copies of the 1987 interview tapes and I was immediately overwhelmed at the wonderful historical document I held in my hand. After the program, we again talked about the 1987 interview tapes, which I was anxious to archive and share with the Shroud world. Many of the participants rarely gave interviews, so several of these are very rare indeed. Peter immediately and graciously agreed to let me digitally remaster the programs and release them all on CD Audio, so here they are. I hope you enjoy them and find them as fascinating as I did. The Peter J. Shield Interviews 2 Disc CD Audio Set includes nearly 2 ½ hours of interviews and is now available for only US$30.00, which includes USPS Priority Mail shipping & handling in the continental United States. Overseas orders please add US$10.00 for a total of US$40.00 each. Please allow up to 4 weeks for delivery. 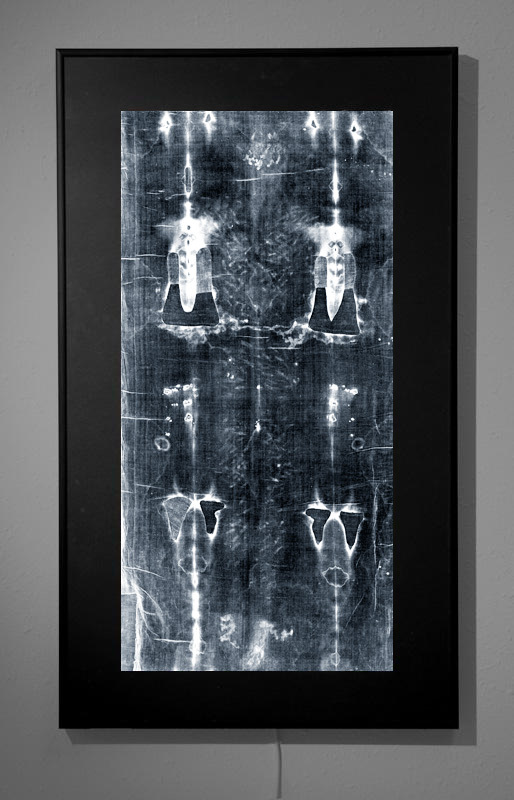 Over the years I received many inquiries as to the availability of lifesize photographic prints of the Shroud. These requests usually came from organizations that operate Shroud centers, church groups, individuals who lecture on the subject or Shroud researchers. To fill these requests, I offered custom photographic prints made directly from my original 1978 4" x 5" color film in lifesize and half-lifesize configurations. 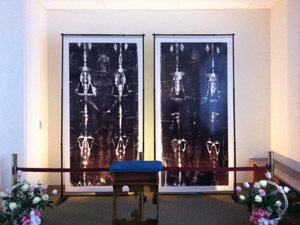 Today, these photographic prints and backlit color transparencies of the Shroud are on display in centers around the world, including the Turin Shroud Center of Colorado, the Shroud Center of Southern California, the Richmond Shroud Center, the Shrine of the Most Blessed Sacrament in Hanceville, Alabama (see photo above left), the Moscow Shroud Center in Russia, and in exhibits in Canada, France, England, Iraq, Japan, Malta and Spain. For years we made these lifesize images available on photographic materials. However, times have changed and real photographic materials have become scarce, expensive and obsolete. In fact, most labs have stopped offering silver based imaging and have transitioned to digital printing using high resolution (2880dpi) professional inkjet printers onto similar, plastic based materials. These new prints and transparencies are still produced directly from the highest resolution digital scans made from my original film, but are now made using the most up to date digital printing technologies. 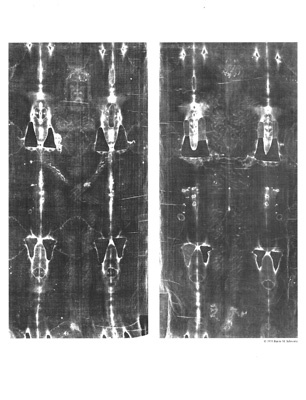 The Shroud image is provided in two separate sections, one of the dorsal half and one of the ventral half. 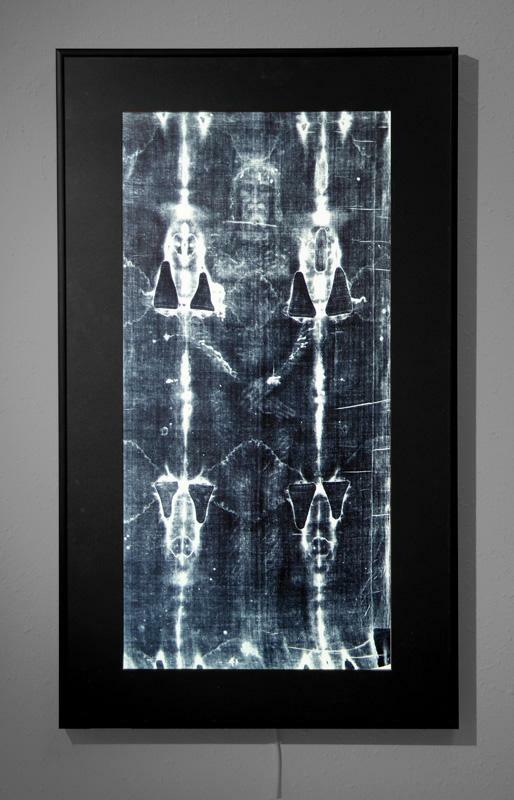 Although they are often displayed vertically, side by side, there is sufficient overlap in the images to allow them to be accurately spliced together (professionally) to form the entire Shroud. Lifesize configuration is furnished in two 48" x 96" sections. Half-lifesize configuration is furnished in two 30" x 50" sections. Approximate image sizes are 42" wide x 88" long on the lifesize prints and 21" wide by 44" long on the half lifesize prints. Each is printed centered on a white background which you can either keep or crop as desired. All images are also available in single sections (i.e. ventral only or dorsal only) and do not need to be purchased in sets. 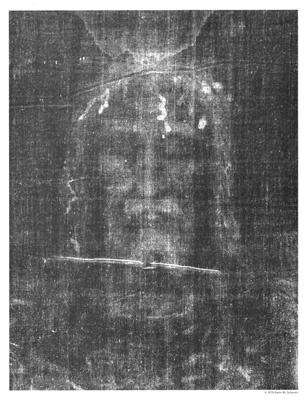 The images are available in positive or negative views of the Shroud, in color or black & white, from either my transmitted or reflected light photographs. You can order them as transparencies (for backlit display in permanent installations that will require the construction of a light box for proper viewing - we will provide you with a set of plans - see photo above left) or reflected prints (for viewing with normal front lighting - see photo above right). These are all printed onto a strong, flexible 7 mil polyester plastic base that can be framed or mounted for permanent display or rolled and stored in a tube for transporting from site to site. These photographs are available on a custom order basis only and include a license granting permission for their public display. No other reproduction rights are granted or implied. Please send an e-mail or call for detailed information. Since a number of options are available that must be discussed in detail, a telephone call is preferred if possible. I am pleased to announce that we can now make available to the general public, on a custom order basis, a Lifesize Shroud Replica on cotton canvas. (The first replica was produced specifically as the centerpiece of a Shroud Exhibit in New Zealand in 2005). This full size cloth replica is produced from the highest resolution digital scans ever made from my original 4" x 5" color transparencies. I worked closely with Steve Ouimet, noted fine art printer in Glendale, California, and we fine tuned the choice of material, the color and the density of the image to yield the greatest detail and the most accurate rendition possible of the Shroud. The replica is custom printed on a wide platen professional inkjet printer using archival dyes and reproduces every detail of the Shroud and its image. In fact, one can clearly distinguish the subtle differences in color between the bloodstains, scorches and image areas. [NOTE: In the above photograph, taken at the Auckland, New Zealand Shroud exhibition in 2005, the replica was displayed on a stylized version of the support table used by the STURP team during its examination of the Shroud in 1978. The red border seen around the Shroud is NOT part of the replica]. The replicas are available on a custom order basis only and include a license granting permission for their public display. No other reproduction rights are granted or implied. Please send an e-mail or call for detailed information. Since a number of options must be discussed, a telephone call is preferred prior to ordering. Many of the videos included below are available directly online. Wherever possible, I have provided ordering information or direct internet links to the appropriate order page. Please note that most videos listed here are generally NTSC versions available for U.S. and Canadian purchasers only (Region 1). 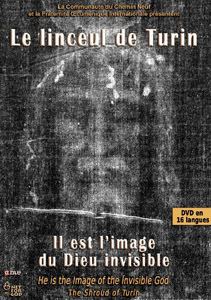 This 35 minute video program was produced in 2010 by the Chemin Neuf Community and the International Ecumenical Fraternity (in France) called: "He is the Image of the Invisible God: The Shroud of Turin." It is available on a single DVD that gives you a choice of viewing the program in 16 different languages and includes interviews with Thibault Heimburger, Ed Prior, Barrie Schwortz, Sebastian Cataldo and several others. It covers many aspects of the Shroud, the 2010 exhibition, and issues of faith and science. The Real Face of Jesus? DVD - March 2010 - 1 hour 40 minutes - SORRY. NO LONGER AVAILABLE FROM THE HISTORY CHANNEL - Try searching on Amazon or Google. Join HISTORY in this two-hour television event, as the Shroud of Turin is put on public display for the first time in 10 years. New data reveals more than just a flat image embedded in the ancient cloth, but an astonishing, three-dimensional, sculpture-like figure. Using the principles of physics, cutting-edge digital technology, and the revolutionary CGI process pioneered in Stealing Lincoln's Body, HISTORY brings that image to life, unveiling the most accurate representation ever seen of what many believe to be Jesus Christ. Don't miss this startling, life-like composite of what could be the most accurate depiction of Jesus Christ ever formed, as HISTORY unlocks the Shroud of Turin's greatest mysteries. This program was such a success it was nominated for an Emmy award in the NONFICTION SPECIALS category. Unwrapping the Shroud: It is one of the most controversial relics in all Christendom. Some believe it to be a physical link to Jesus of Nazareth - his crucified image imprinted onto a 1st Century linen cloth. For others, it is nothing more than an elaborate medieval forgery. 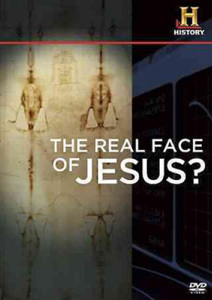 For centuries, people have argued about the authenticity of the Shroud of Turin. 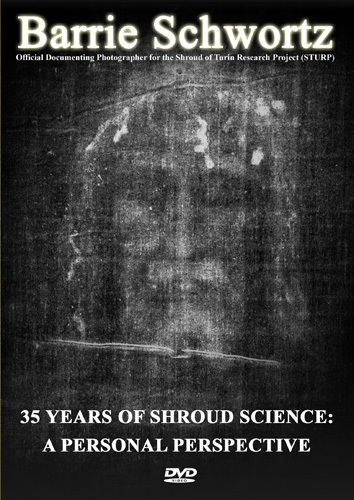 In 1988, the definitive scientific verdict on the Shroud was announced: a radiocarbon dating concluded the Shroud of Turin was a 700-year-old medieval hoax. But today, new scientific findings pose the first substantive challenge to the 1988 radiocarbon dating. If these findings prove to be accurate, then the age and authenticity of the Shroud of Turin will, once again, be open to debate. 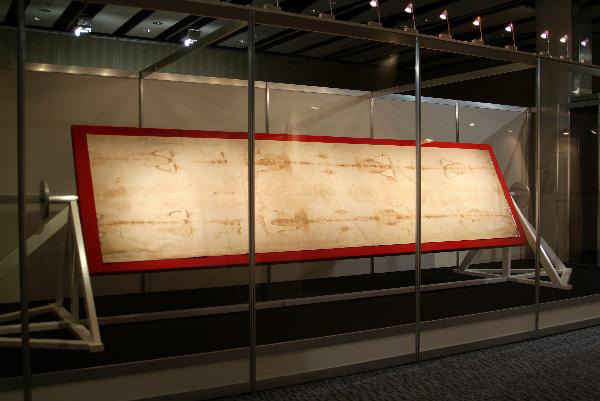 The DaVinci Shroud: The Turin Shroud is the world's most famous and mysterious religious relic. Believers think it once wrapped the tortured and crucified body of Jesus Christ, but in the 1970's it was revealed as a medieval fake. Who made the image on the shroud has baffled scientists for decades, but now a controversial theory says it could be the work of master artist Leonardo Da Vinci. Did Da Vinci fake the Turin Shroud, and how did he pull off the hoax of the millenium? There is evidence that the Shroud, venerated in France as early as 1350, is the Shroud we see today preserved in Turin, Italy. This DVD takes the historical high ground as it presents the places, the written evidence, the changes of ownership, the various expositions and the first 1898 photograph that changed everything and brought the Holy Shroud into the realm of modern science and to worldwide attention for the very first time. 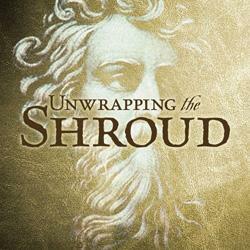 This DVD is the most authentic and definitive DVD yet produced on the Holy Shroud. It reports on the first examinations of the fabric and the imprint left on it by the body of a dead man who had been tortured and crucified. It describes the discovery of red blood cells and pollen traces, carbon-14 dating, and computerized image processing. 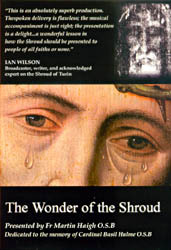 The DVD features a one-hour documentary film, The Man of Pain, which was the Official Documentary of the 1998 Holy Shroud Exposition Committee and was granted the right to use the Vatican's Jubilee 2000 logo. It is the only documentary yet made to present High Definition (HDTV) footage of the private exposition which took place on June 25, 1997 and the only documentary to be filmed since the fire that badly damaged Guarini's Chapel. This film was made with the assistance of experts from the Archdiocese of Turin, and includes footage shot in Jerusalem, the church of St. Catherine of Sinai, Edessa, Istanbul, Lirey, St. Hyppolyte, and Chambery. Scientific consultants to the project included Pierluigi Baima Bollone, Nello Balossino, Giuseppe Ghiberti, Silvano Scannerini, and Giuseppe Terzuolo. 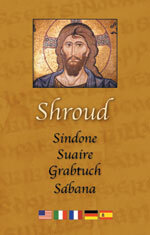 The Shroud DVD features 160 minutes of total content, in five language versions: Italian, English, French, German and Spanish. In addition to the film Man of Pain, extra features include The 1998 Restoration History, The 2002 Restoration History, Iconographic Routes, Backstage at the Filming, Extra Interviews, An Interactive Map of Shroud History, and the short films, The Guarini Chapel and The Face of Christ. "For anyone wanting a comprehensive overview of the current state of international researches into, and arguments over, the Shroud, �The Wonder of the Shroud� can only disappoint. But that was never ever Fr. Martin�s intention. Instead his presentation is directed steadfastly to the altogether more central and important issues of how the Shroud illustrates and complements the gospels, the utterly extraordinary wonder of its image, and what it means to all of us. He delivers on his promise that he will not �preach� the Shroud, but will let it speak for itself � to our own individual minds. As such his video is a profoundly spiritual and visual �tour de force� and a positive �must� for everyone with a serious interest in the subject." To preview video clips from the program and read a detailed description, or to order VHS or DVD copies directly from the producer, visit www.shroudvideo.com. David Brindley has just completed the latest NTSC version of the DVD for North American viewers, so the DVD is now available in both PAL and NTSC formats. In Pursuit of the Shroud - 1998, produced and Directed by Reuben Aaronson, award winning film maker with many National Geographic specials to his credit, aired on December 22, 1998 on The Learning Channel. The program includes appearances by many noted Shroud researchers and historians, including Donald Lynn, Dr. Alan Whanger, Dr. Harry Gove, Vernon Miller, Professor Daniel Scavone, Mark Guscin, Kevin Moran, Rev. Albert Dreisbach, Avinoam Danin, Uri Baruch and Barrie Schwortz. The beautifully produced documentary takes a close look at the current work being done on the Shroud and provides an excellent review of the cloth's history and its unique features. Whether you are a novice to "sindonology" or you've studied the cloth for years, you will appreciate this serious, unbiased and sincere examination of the current scientific evidence, presented in a very well written, well-paced and informative style. It goes further than most programs in providing the personal insights of some of the world's foremost Shroud scholars. No matter what your opinion of the Shroud's authenticity, you should find this a thought provoking and captivating hour of high quality television. 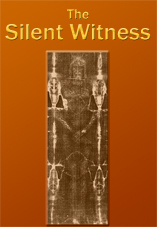 "The Shroud of Turin: Imprint of Mercy" - 1997, is a 13-part video series offered by The Turin Shroud Center of Colorado featuring Dr. John P. Jackson and Rebecca S. Jackson. The series, originally offered on 3 digitally mastered videotapes, is now available in a NEW 4 - DVD Set (in a "region-free" format for global viewing) known as the Imprint "pack" and sells for $89.99 plus $10.00 for shipping and handling for orders within the U.S. Orders outside the United States, please add $40.00 to the program price. Videotape sets in NTSC, PAL or SECAM formats are still available, but only by special request. Please contact the Center directly for more information. Make checks payable to Turin Shroud Center of Colorado (U.S. funds only). Please allow 6 - 8 weeks for delivery. All shipments of "Imprint" will be handled by Alexander Film and Video, Inc. in Colorado Springs, CO, USA. All proceeds from the sale of "Imprint" DVD's go to the research and education endeavors of the Turin Shroud Center of Colorado, an IRS non-profit organization. The Silent Witness - 1978, produced and directed by David Rolfe. This now-classic documentary, completed in 1977, was the first in-depth film dedicated to the subject of the Shroud of Turin and won a British Academy Award (BAFTA) in 1978. The film recreated in striking detail many important scenes from the Shroud's history, telling the story of the cloth in dramatic and accurate fashion. It was made with the cooperation of the Turin authorities and reflects the extent of Shroud knowledge circa 1977. DVD copies of the program are currently available directly from the producer. NOTE: As of January 2007, The Silent Witness is AVAILABLE FOR DOWNLOADING ONLINE. Visit www.silentwitness2.com for details. You can also watch David's newest film, "A Grave Injustice," for free at the above link. In Europe, the film is available directly from the producer. Ancient Mysteries: The Shroud of Turin - 1995 (Available from Amazon.com) is the story of how scientists in Switzerland, England and America worked to resolve the controversy over the authenticity of the Shroud of Turin, thought by many to be the burial cloth of Jesus. Shreds of evidence take viewers inside laboratories to watch as scientists perform carbon dating and other tests. Also shown for the first time are pieces of the Shroud being cut into specimens for testing. This intriguing detective story covers the painstaking process right up to the moment of truth, when scientists announce their findings. Jesus and the Shroud of Turin - 1998 (Available from Amazon.com) is a Learning Channel documentary, featuring a who's who in international Shroud research, in a good summary of the evidence, issues, and history or recent inquiry. Touching on botany, archaeology, carbon dating, the Sudarium, image analysis, art-history, and the original STURP study, this video includes interviews with Avinoam Danin, Alan Whanger, Vernon Miller, Dr. Harry Gove, and Shroud.com's own Barrie Schwortz. An engaging introduction to a complex topic, suitable for all audiences. (Questar Video, 52 minutes, produced and directed by Reuben Aaronson. Previously released as In Pursuit of the Shroud - 1998, by the Discovery Channel. The Man of Pain - 1998 (Special Order from Amazon.com) was the official video of the 1998 Shroud Exhibition. This program includes scenes produced using the new High Definition digital video system and was the only one authorized by the authorities in Turin. This NTSC version is available to viewers in the U.S. and Canada on VHS videotape only. Viewers in other countries may order the program directly from Nova-T, the company that produced the program. (Sorry. Link no longer available). "The Mysterious Man in the Shroud" - 1997 (Available from Amazon.com) is the title of a one hour special that ran on CBS on April 1, 1997. Produced and directed by Terry Landau, whose credits include the PBS series, "The Brain," it was one of the most balanced and accurate, well researched and well presented documentaries on the Shroud ever produced for television. Terry and her fine crew should be congratulated for the beautiful visual quality, superb editing and exquisite graphics that make the program a "must see" for anyone with even a passing interest in the Shroud of Turin. The program runs approximately 48 minutes without commercials. Mystery of the Sacred Shroud - 1992 (Available from Amazon.com) is narrated by Richard Burton and was released on video in 1992, although the program was produced some years prior to that. Turin Shroud - 1996 (Special Order from Amazon.com) No information available. Viewers are welcome to write and submit a synopsis and review. 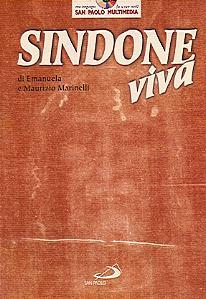 Sindone Viva (The Living Shroud), is the title of the new Italian Language CD-ROM produced by noted Collegamento pro Sindone members, Emanuela and Maurizio Marinelli and edited by San Paolo Multimedia. Included here is a link to the article on the "Collegamento pro Sindone" page of this website that describes the CD-ROM in detail. Extraordinary relic of Christ, or clever forgery of the Middle Ages? Down the years scientists from all over the world have to compete with the challenge launched by a mysterious image imprinted on the Shroud - a burial wrapping sheet preserved in Turin for over four centuries. The microscope rummaged among the folds of its fabric, and dusty manuscripts were reopened. Abounding in an impressive documentation and a vast iconographic apparatus (about 500 pages, 400 images, 17 minutes of audio and 15 minutes of video), this CD-ROM ranges in all the areas of knowledge connected to the enigma of this unique object in the world, and offers the possibility to "navigate" into and explore the mystery of the Shroud. The routes to follow are marked according to four different approaches of study.